When I set my goal for Etsy sales in this first year on my vision board, I said, “I want to make 100 online sales.” Today, because some awesome folks boosted the signal and made orders, I hit that goal and then went past it. And we still have several weeks until year’s end! I’m really grateful and I just want to say thanks. One dollar from every sale on my Etsy shop goes to help the RESCU Foundation. You can find a link to their website and some info over to your right, on the sidebar. I get to make that donation in a few weeks, when I do my year-end books. I’m very excited. That donation will go directly to help pay medical bills for Renaissance Faire entertainers, artisans and vendors who get sick or injured. Folks who work the Faire circuit either year-round, or, like me, maybe for just one season/faire a year. Folks who make their living primarily as actors, dancers, singers or artists, and who can’t quite afford health insurance. RESCU does really good work, and the people they serve are dear to my heart. I’ve been a Ren Faire actor since 1988. 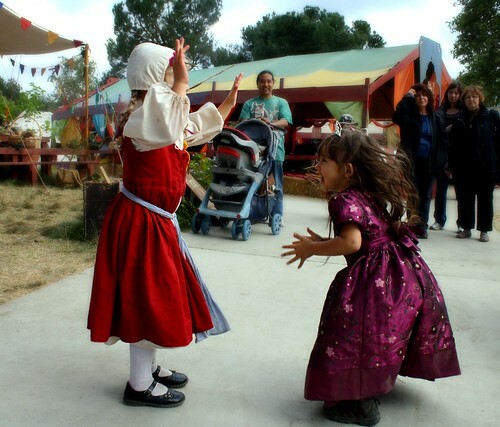 The faire is my hometown and these people are my family. And all of y’all who bought something off of Etsy totally helped me do something that is ultimately going to help them. Thank you for that. From the bottom of my heart.